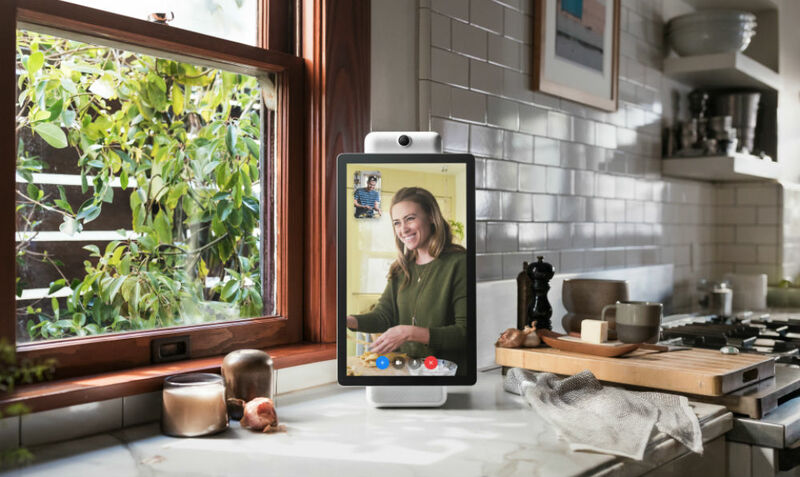 Facebook introduced Portal and Portal+ this week, smart displays of sorts that are catered to video calls, powered by Amazon Alexa and other AI features. Already up for pre-order starting at $199, Portal has a 10-inch 1280 x 800 display. If you need something bigger, there’s the 15-inch 1920 x 1080 Portal+ for $349, complete with auto-pivoting screen. Facebook describes these machines as perfect for video chatting on Facebook Messenger. Whether the person on the other line has one of these displays or just the Messenger app on their smartphone, you can chat with loved ones where they may be. Thanks to Alexa from Amazon, you can initiate video calls simply by using your voice, plus a suite of AI tech makes your experience more rich. For example, Facebook includes Smart Camera that automatically pans and zooms to keep everyone in the shot. As for privacy, Facebook claims they’re taking it very seriously. According to its announcement, all calls are encrypted, each device comes with a camera cover for added privacy when you want it, both the microphone and camera can be disabled with a single button, and the AI features (not including certain Alexa functions, we assume) run on the devices, not on Facebook’s servers. Again, Portal and Portal+ are up for pre-order in the US on Facebook, as well as Amazon and Best Buy. Shipping will begin in November. Portal costs $199 and Portal+ is $349. Additionally, you can also receive $100 off any two devices, meaning a bundle of two Portal devices will be priced at $298.